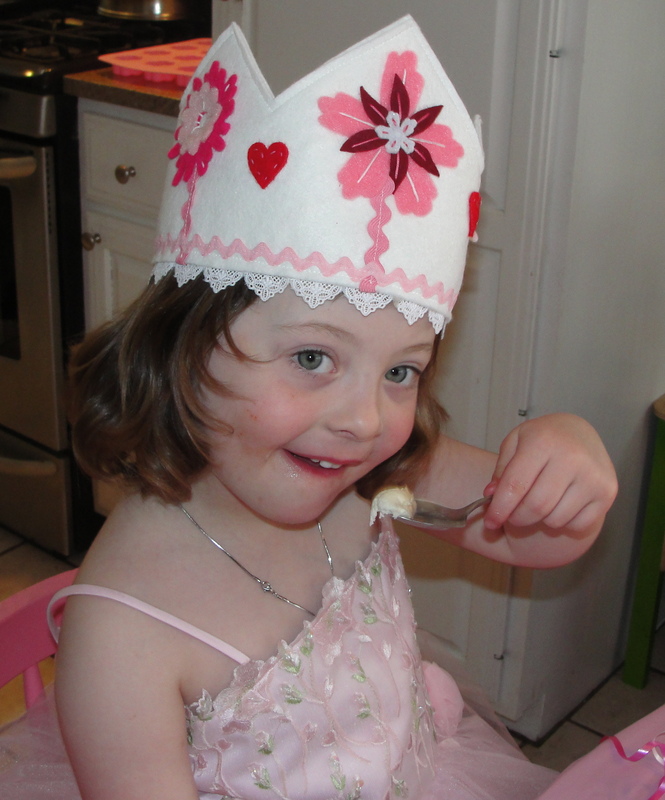 CP#1 celebrated her birthday over the weekend, and we wanted to find her a special crown to mark the occasion. Lucky for us, we discovered the wonderfully talented Kirsten Hardy, who runs a home-based business in Bar Harbor called Annabel Fuzz. Kirsten whipped up a beautiful, felt crown in a day, and to CP#1’s delight, it arrived in a perfectly pink package. Kirsten has two daughters, so it’s no wonder she knows a thing or two about the importance of pink and princess crowns to the preschool set. 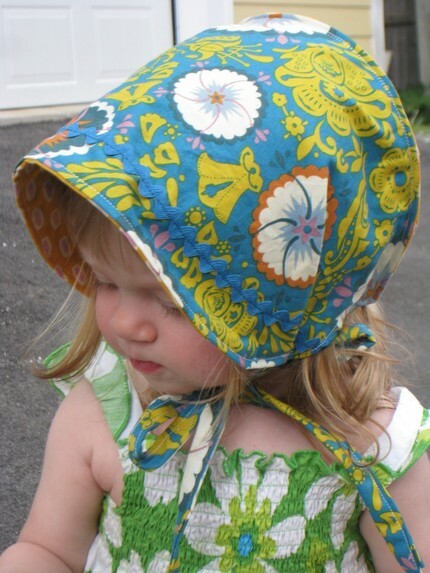 In fact, she got her start designing bonnets for her own girls. When the owner of Stone Soup Toys in Bar Harbor spotted the bonnets, she asked Kirsten if she would like to sell them in her shop. The rest, as they say, is history. Annabel Fuzz offers everything from wrap skirts and bonnets in fun, feminine prints to the birthday crown you see here. The crown is great for parties and dress up, but most of all, we like that CP#1 can use it from now until she’s twenty-one (as long as hearts and flowers are still her thing). Know a princess in need of a party hat? You can find Kirsten’s crowns on Etsy, and her popular bonnets (just in time for gardening season) at Stone Soup Toys, Roots & Tendrils in Belfast and Oak Handmade Clothing & Gifts in Boston.